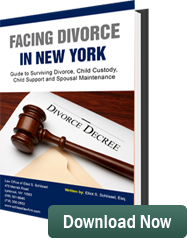 During a divorce lawsuit, a husband provided the court with documentation the parties’ home was moving towards foreclosure. The court appointed the husband as a receiver and gave him authority to list the home with real estate brokers and conduct the sale of the home. The wife did not accept the court’s initial ruling and brought a motion to renew or reargue the court’s prior decision concerning the husband being entitled to sell the home to avoid it being sold in foreclosure. The wife claimed in her application to the court he had failed to abide by a court order to make timely payments of the mortgage obligation on the home. She claimed that there were funds available for the husband to pay the mortgage in his 401(k) plan. The wife argued extensively that their home was handicapped accessible. She claimed she needed to live in this handicapped accessible home and the judge should allow her to continue to live there. The husband asked the court to keep him as the receiver of the home and allow him to have his wife removed from the home to facilitate his ability to list the home for sale and have the home sold. Justice John Bivona sitting in the Supreme Court Divorce Part in Suffolk County granted the husband’s application. The judge found that his wife had been interfering in the sale of the marital home. As a result of her interference, the parties were suffering economic waste of a valuable marital asset. The judge in this case felt it was in the parties’ best interests to maximize the return on the sale of the marital residence by having it sold privately instead of being sold in foreclosure where it would go for less than fair market value.